Alberta Browncoats: Call to Mobilize! So Proud I Could Bust! That's right, people! You may have noticed from the name change up top, that we are aiming our sights a little higher these days. I am not, by my nature, an exclusionary man. Since the screening I have been thinking that a province-wide grouping would make our efforts stronger, but I wasn't sure whether to take that next step. Well, I got my wake-up call! A BC Browncoat by the name of Jenskijen is in town this week, and we had a chance to talk. To say she is active with the Browncoat community would be an understatement; she's "active" like Reavers are a "little odd". But she convinced me to get started on this. Inspired me, you might say. Here's what it is. I'm going to be getting the word out, and the word is this: The Alberta Browncoats are here! We will exist as a provincial group, and I would suggest that our time be split between two main activities. First, organizing fun little shindigs of various types for our membership. And second, putting the awesome power of the AB Browncoats behind some worthy charities, either organizing them ourselves or just volunteering some time to help already existing ones. I'm not knocking the fine folks here at Blogspot, but we will need a website of our very own. I know very little about that sort of thing, but I'm hoping one of my fellow Browncoats will be willing to step forward and be our web-master/-mistress. If you want the job, email me. I would like us to decide if we want to go the formal route of making ourselves a registered Not-for-profit Society. Through my theatre dealings I have some experience with that process. There are pros and cons, but I think it is something to discuss. What charities do we want to put our not insignificant weight behind? 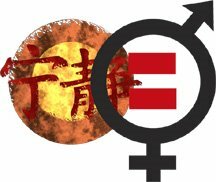 We will continue to support Equality Now with the yearly Serenity screening, that is a given. But I would like us to have a province-wide charity that we can get behind formally. As well, I'd like each community to look around to see if there are groups that could use your local Browncoat's help. What shindigs do you want to see? Personally, all work and no play makes me want to thump something with a big stick! So what are we going to do for fun? So that's where we're at. I want to hear from all of you; there were 166 of you in that goram theatre for the screening and I'm expecting at least that many emails! If I don't hear from people, I will just make some decisions on my own. hmm, I don't think becoming an official non-profit organization is a good idea right now. I think it might be a good idea to have some events to spread the word and get people interested in it. Societzation is a nice thing to have as it covers butts leagaly but there are mantainence costs and commitments to consider. I know up here the Final Frontier recently desided to suspend their socity status as they found they no longer had the will to keep it up. On the other hand I am sure we can avoid some of the herdles they ran into. Provence wide charity... that will take some thought. The most ovious one that comes to mind is spliting funds between north and outh chapters of STARS but maybe we can find one a littl smaller that really needs the help. Hey, im completely new to this. I saw "Done the Impossible" and want to get involved. How can i go about doing this? I am in so in. I will do almost anything that I can do to help, don't know how much i can do with school, but I am going to do all that I possiably can. Tell me what to do. I'm all for it, Brent. Society status is something to seriously consider, if Alberta Browncoats gets into charity work to any great degree. Final Frontier still has Society status; we discovered it was easier to keep it than to jump through the hoops required to give it up. I like to support any children's charity (there are lots of them) and I'd like to support the Lois Hole Hospital for Women if possible.